Summer and Summer heat is upon us - and with a vengeance! It's so hot out there, it's enough to cook a pizza in the open heat! Yes, pizza. Not just eggs anymore. It's pizza! But, don't get caught under all these intense heat and melt - literally. Hiding in the comfort of your air conditioned home is not a very good Summer-long option either. Not with the kids home for the Summer and the inevitable threat of cabin fever - you've got to be kidding yourself if you opt to endure these! - You'll go nuts! Count on it. But you don't have to. There is no need to. Here's a great option to get your family and your Summer vacation off to a great start, or Summer-long, whichever applies to you. All you need to do is go to Carowind's and take advantage of their new Carolina Harbor Waterpark. Your kids will thank you for it and so will yourself! Best of all, you won't be subjected to the nasty angst of FOMO. Surf Club Harbor Wave Pool - A state-of-the-art 27,000 square-foot wave pool that features 12 water geysers and waves as high as 6 feet! Blackbeard's Revenge - A towering six story tall water slide complex featuring three attractions and six exhilarating slides. And for those who loves an exhilarating ride, Pirates Plank will send guests plummeting down a nearly vertical free fall where the floor drops out from underneath and more. 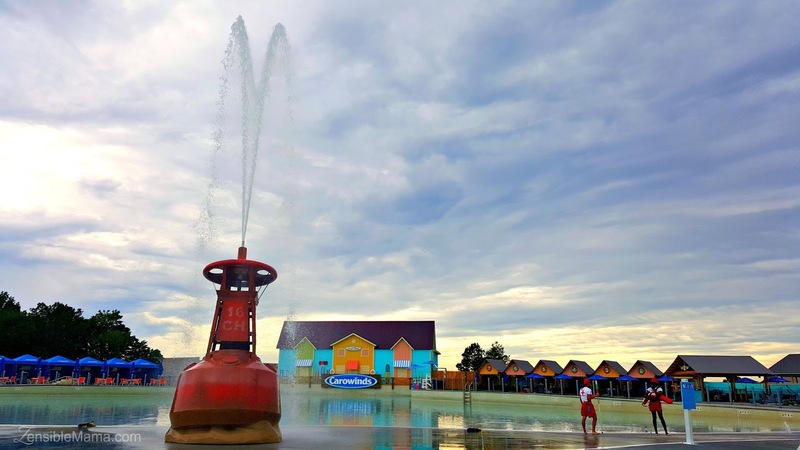 Seaside Splashworks - Part of Carowinds two-acre family area, this water structure features over 80 elements including a 423-gallon tipping bucket. 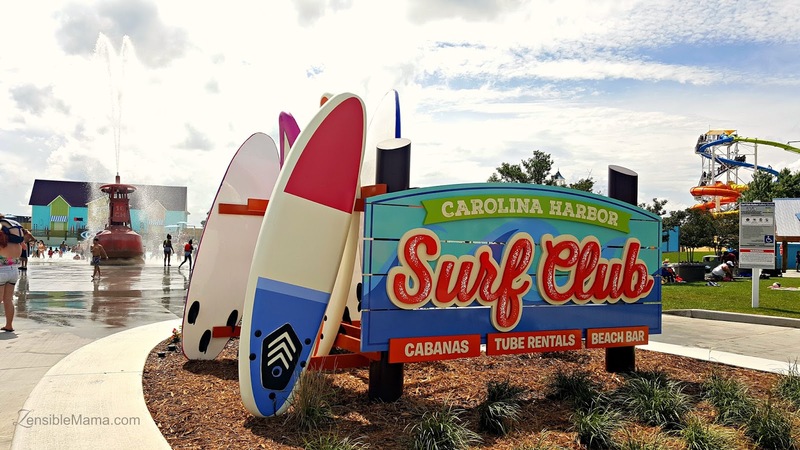 Kiddy Hawk Cove and Myrtle Turtle Beach - These two new family-fun zones are fully equipped with features for both parents and children. Best of all, the new Waterpark have a separate entrance with direct access to the waterpark so you can jump into the water and escape the heat as soon as you literally step inside! I'd also say, enjoy the waterpark while its brand spanking new. It looks really pretty if you ask me. Everything is bright, bold and so colorful. Somehow, it makes you appreciate Summer more - sans the heat of course! The new lounging chairs are better and comfortable. Suitable for relaxing or napping, as others have done, before or after a rigorous swim or exhilarating fun at the pool or the slides. Colorful shades that resembles sails of a ship to protect you from the harmful rays of the sun and rain. Tons of fun for the kids, they'll never run out of fun things to do! Good for them. Good for you! And the new Surf Club Harbor Wave Pool? I guarantee you, you'll love it! I loved it! My family loved it. They almost have to fish me out of the water because I didn't want to leave. You'll understand once you experience it for yourself. But don't just take my word for it. Let the Waterpark speak for itself. And the only way to find that out, is to go see it for yourself - and believe it! 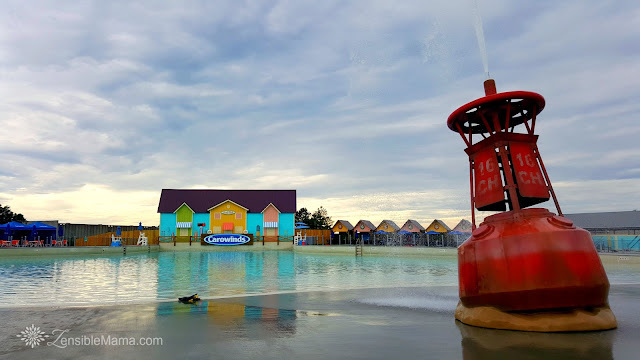 Jump right in and take a refreshing splash at Carowind's new Carolina Harbor Waterpark with you and the entire family this Summer and and all the Summer that comes after. Disclaimer: I'm a long-time Carowinds season passholder and currently an official Caro-blogger for Carowinds. This post is part of the program but all opinions are mine, unless otherwise stated.